In April 2014, having added a certain amount of basic research to what I already know out of personal enthusiasm, I felt bold enough to lead the first two of these walks exclusively for DACS members. Since then, the walk has been thrown open to all and sundry. It developed, the discoveries multiplied, my knowledge of the subject grew, the weathers included cruel winds, sunburnt noses, snowflakes, unrelenting rain and worse, but above all, with very few exceptions, the walks produced wonderful company. And I remain in touch with so many of those walkers as we grapevine other events and discoveries. My final walk was with a very responsive and appreciative bunch — a suitable way to round the series off. 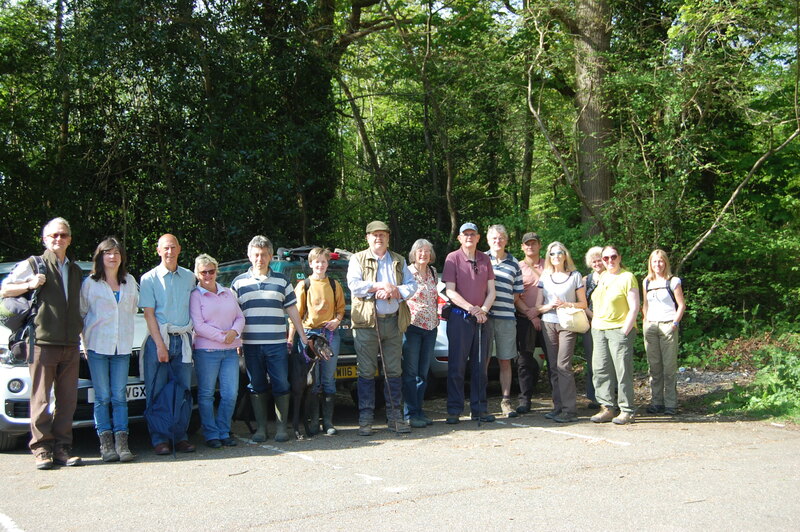 The walks have given DACS funds and new members to help when we need to fight for this special part of the AONB. They have also made significant and rewarding contributions to the upkeep of All Saints Church, Mountfield and the churches of Netherfield and Brightling Parishes. Above all, I have shown about 200 walkers some of the clues to why our landscape looks as it does and why it is important to fight for it. 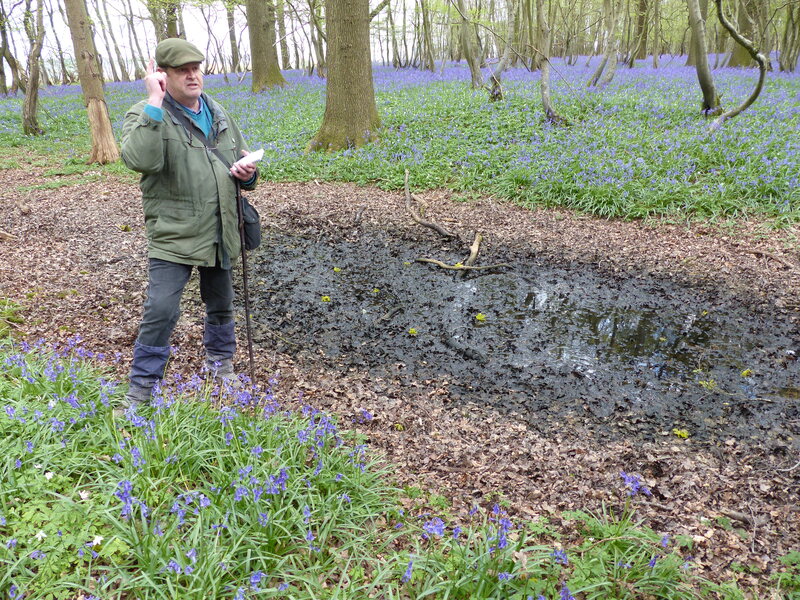 The main purpose of the walk has always been to explain why our local High Weald landscape looks as it does. 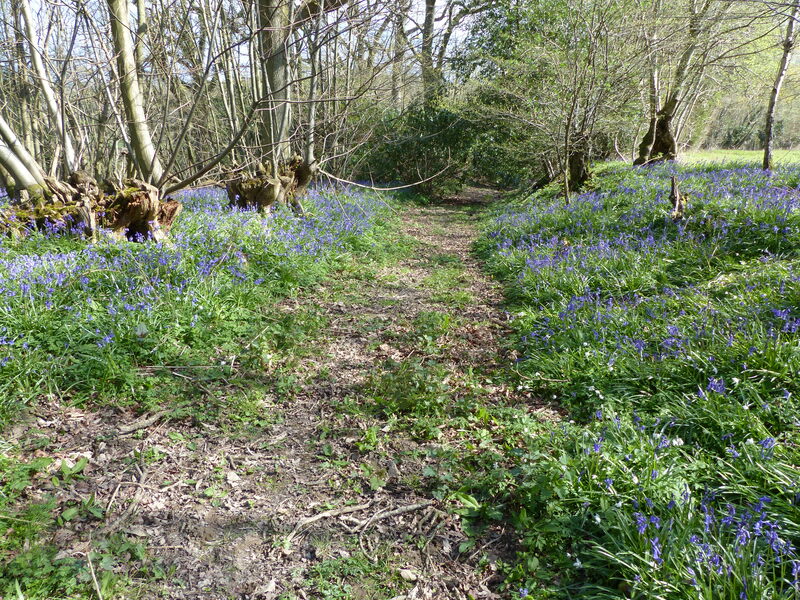 It was wide-ranging and included woodland archæology such as medieval hedgebanks, historical earthworks such as The Castle, possible evidence of the mid-14thC Black Death, industrial remains from throughout the last two millennia such as quarrying and iron smelting, and woodland industry in the coppicing, sawpits, charcoal platforms. An important feature was the use of botanical clues — including a rare plant population (Butcher’s broom) and an even rarer tree (Wild service tree), foraging (with recipes), and more — to hammer home the importance of this landscape. 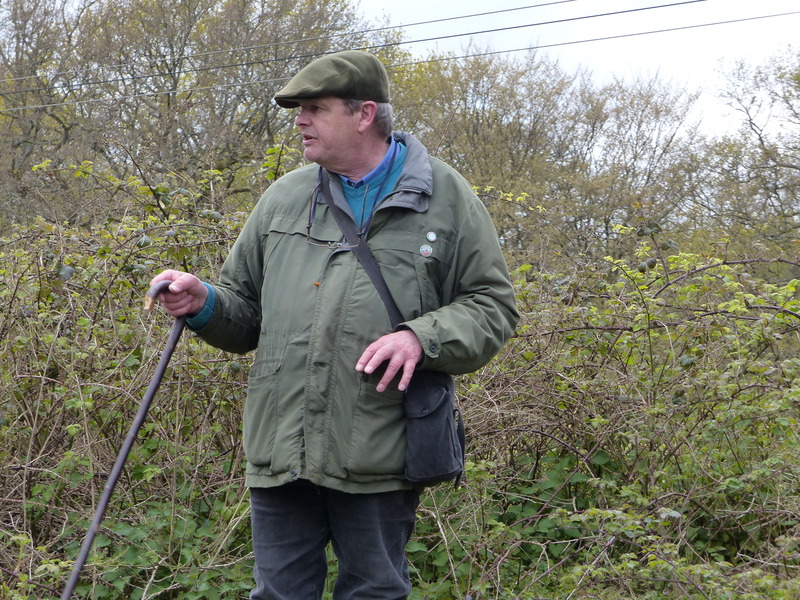 Another underlying theme was the network of old roads across the Weald including the old Sow Track from Penhurst’s Tudor furnace to Robertsbridge Forge. I should like to record here my gratitude to Lucinda and Simon of Mountfield Court Estate (“Egerton’s”)m and to British Gypsum for allowing us privileged access to their land off any public rights of way. Above all, I am grateful to all the walkers who have stood and been so enthusiastic and responsive despite being talked at in whatever weather conditions applied. Almost all my walkers were receptive and appreciative and got the message. The new 1918 Romano-British (?) discoveries were a hit. 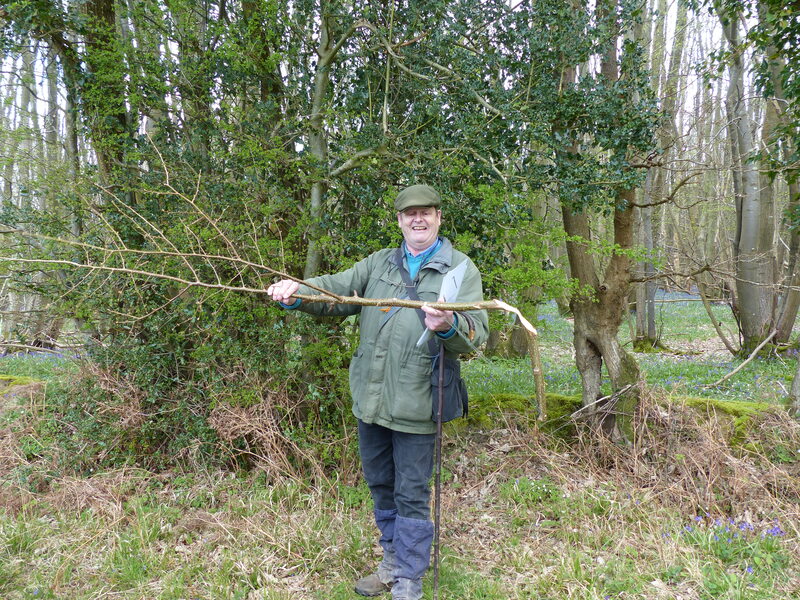 The early medieval date for hedgebanks, the age of hedge and coppice stools, the din and fury of the local Black Country and the old road systems all fascinated. And the butcher’s broom and the chequer tree wove their spells. The main showstoppers were… The Castle. Some were on their third year running but they still stopped and exclaimed in wonder as the moat plunged before their feet. And the medieval pocket lighter. My final walk in 2018 was my 21st. I haven’t worked it out in detail but I reckon the walks have put about 200 walkers through the woods. That’s about 200 people who understand better what they see, what features are to be valued, what to fight for, and how to fight for it. “The AONB” is not a convenient term to be wheeled out at the convenience of the wheeler; it has real and recognisable significance. There is no other landscape in England with such a high concentration of designated ancient woodland as the eastern High Weald. It has the most extraordinary extent of survival of the post-periglacial recolonisation. It has been claimed that Brightling is the most wooded parish in England but it must be a close thing with Dallington and Mountfield. Within that, the local area of the Weald has a historical identity which is unique from either that of either the Jutes of Kent to ye north and east, or the South Saxons to the west. And then etched into all that, you have one of the most remarkable and complete medieval landscapes in Europe.